Daily Debate: Should Ganon/Ganondorf Be Given A Break After Breath of the Wild? Since the original Legend of Zelda on NES, Ganon has been terrorizing Hyrule with cruel satisfaction. The pig demon has become one of the most recognizable villains in video games, rivaling peers like Bowser. Throughout the years, the villain has taken several forms including a trident wielding demon, a powerful human mage/warrior (Ganondorf), and a monstrous amorphous beast. 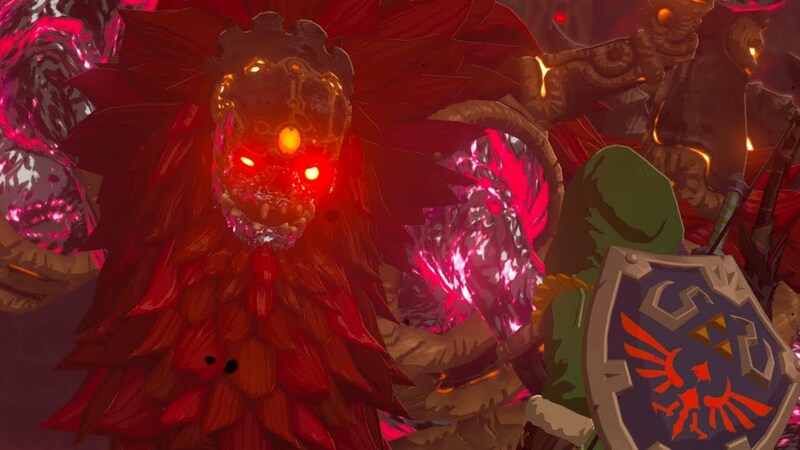 In Breath of the Wild, Ganon took the form of Calamity Ganon, a being lacking any recognizable humanity. Taking the form of four minions called “blights”, a monsterous spider, and a demon boar, many critics and fans found the portrayal of Calamity Ganon lacking in terms of gameplay, story, and visual design. With this in mind, should Ganon be given a break or left out of the next Zelda game? The nefarious villain has taken breaks several times throughout the series, notable in games like The Minish Cap and Skyward Sword, where other villains like Vaati, Ghirahim, and Demise took center stage. It would be really exciting to let the developers run wild and to see what new gameplay, character, and story ideas the team could think up for new villains. Would Ganon and the Zelda series benefit from some time off? This would give the developers a chance to design a new villain or to rethink their implementation of Ganon? What do you think? Let us know in the comments below!